Three (3) Chinese bronze items. 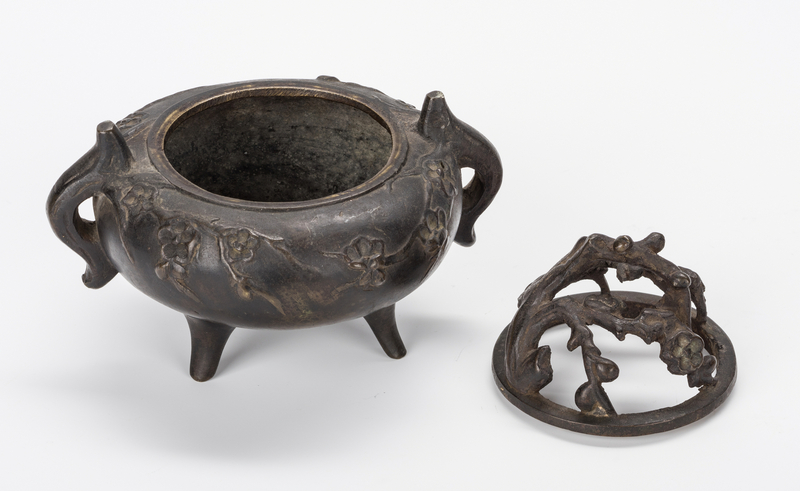 1st item: Chinese bronze censer, archaic form with gilt bronze pierced top, animal mask handles, relief frieze to the body and tall tripod legs. 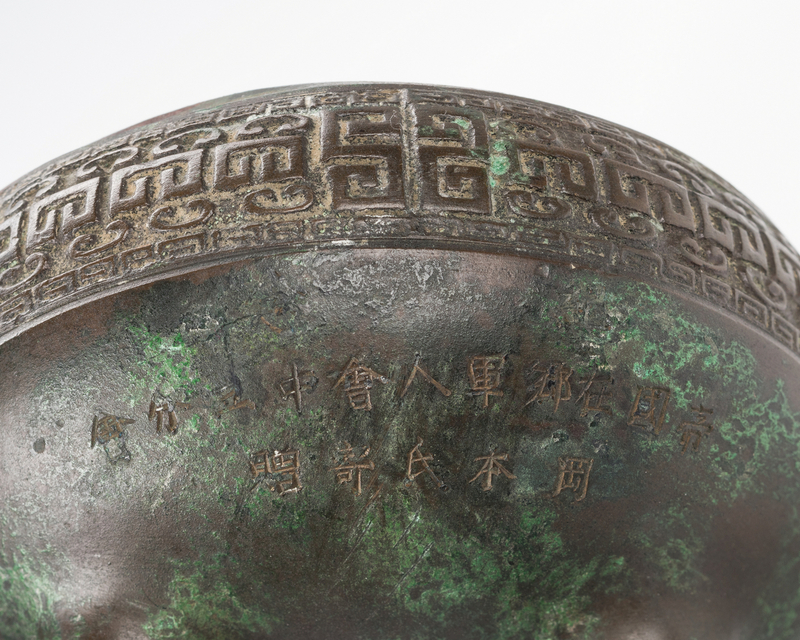 Chinese inscription on lower edge of censer. 4" H x 4 1/2" dia. Late 19th/early 20th century. 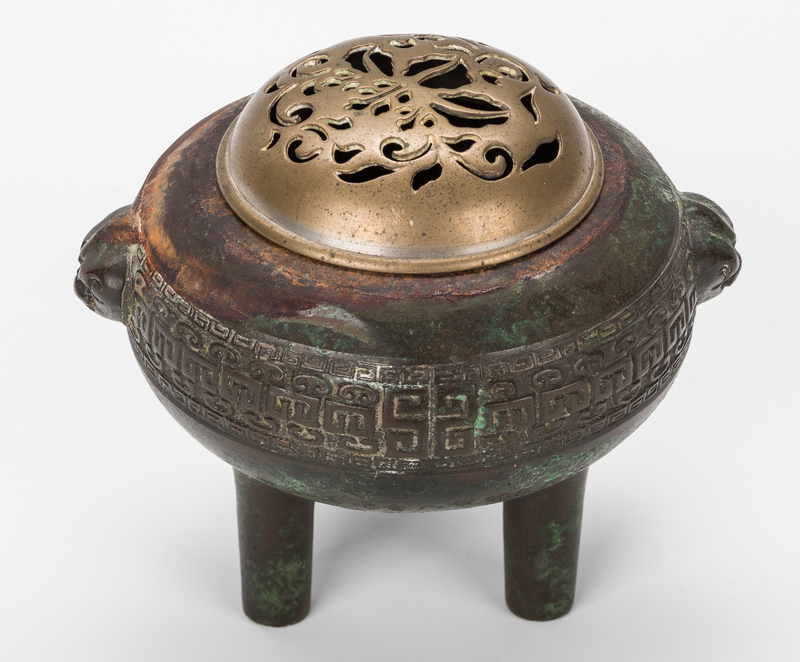 2nd item: Chinese bronze censer with pierced naturalistic top and raised floral decoration to the body. 4 1/4" H. Late 19th/early 20th century. 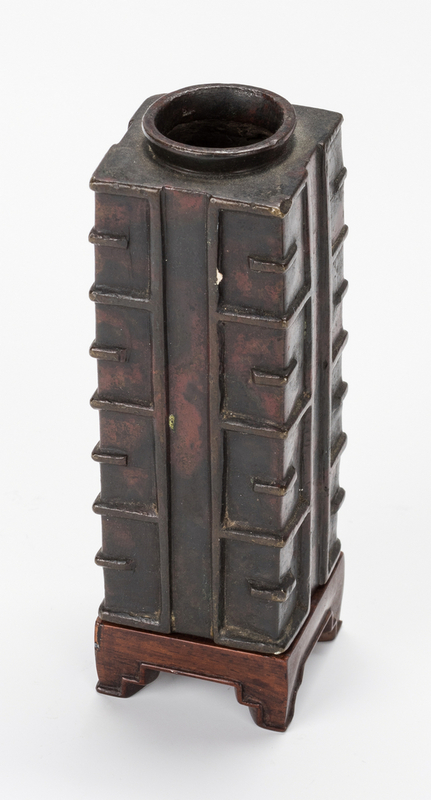 3rd item: Chinese bronze bud vase, square archaistic form. 4" H. Late 19th/ early 20th century. Provenance: Descended through the family of John Liddell, a member of Liddell family firm that owned shipping warehouses and land in China until 1949. CONDITION: 1st item: Oxidation to body with losses to patina around the top. Dent to the upper shoulder. 2nd & 3rd items: Overall good condition.